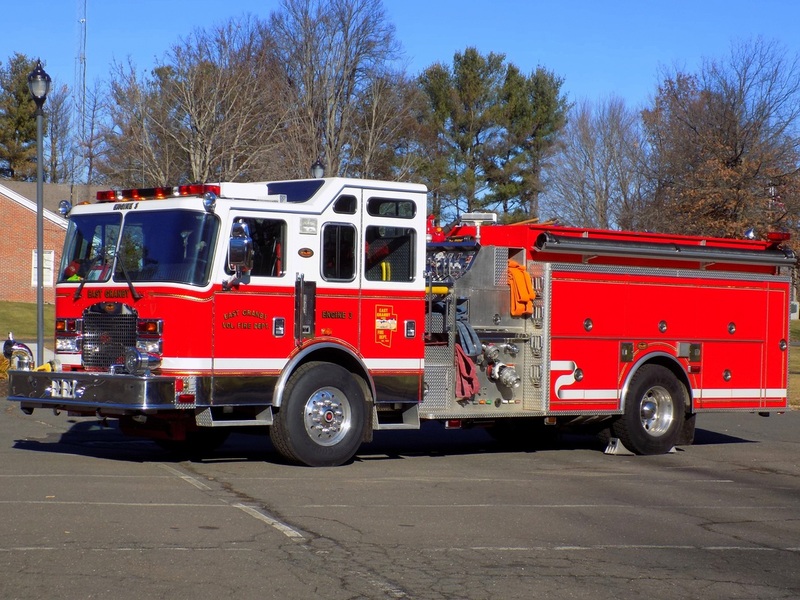 This is the page for the East Granby VFD. 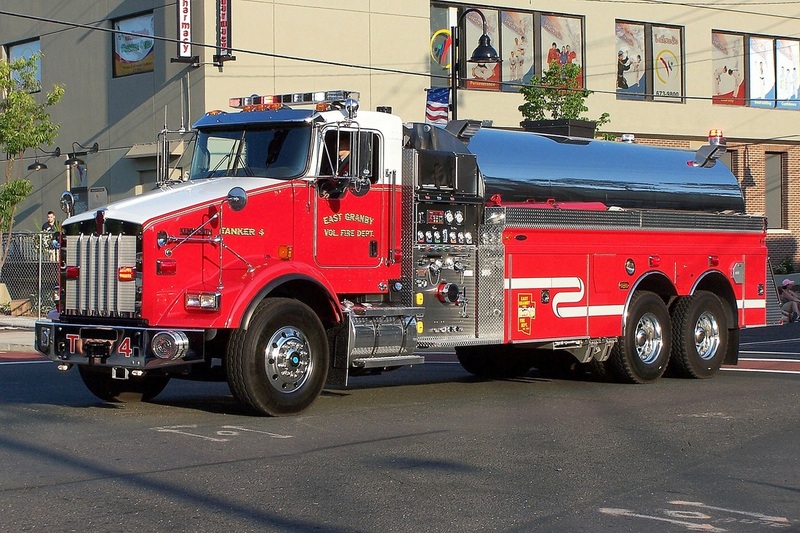 They have 3 engines, 1 rescue truck, 1 tanker truck, 1 utility truck, 1 SUV, and 2 stations. 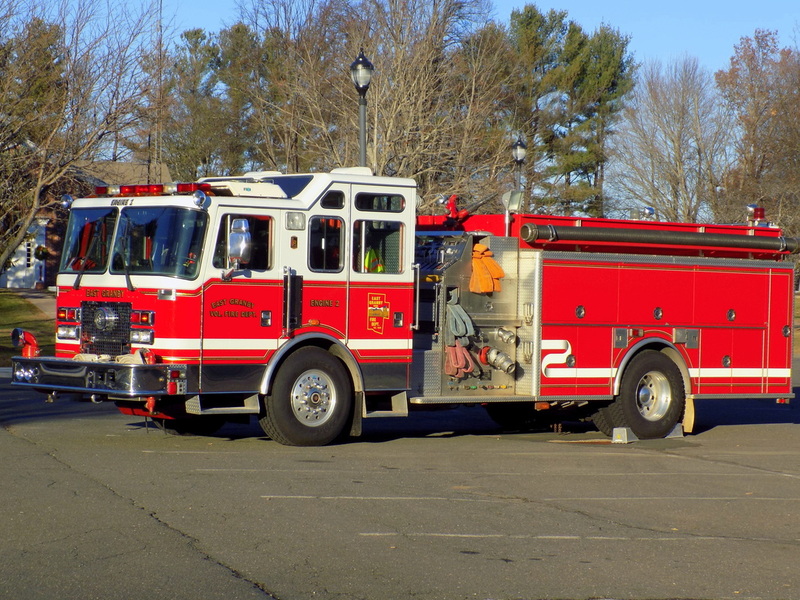 East Granby's Antique Engine, a 1929 Chevrolet. 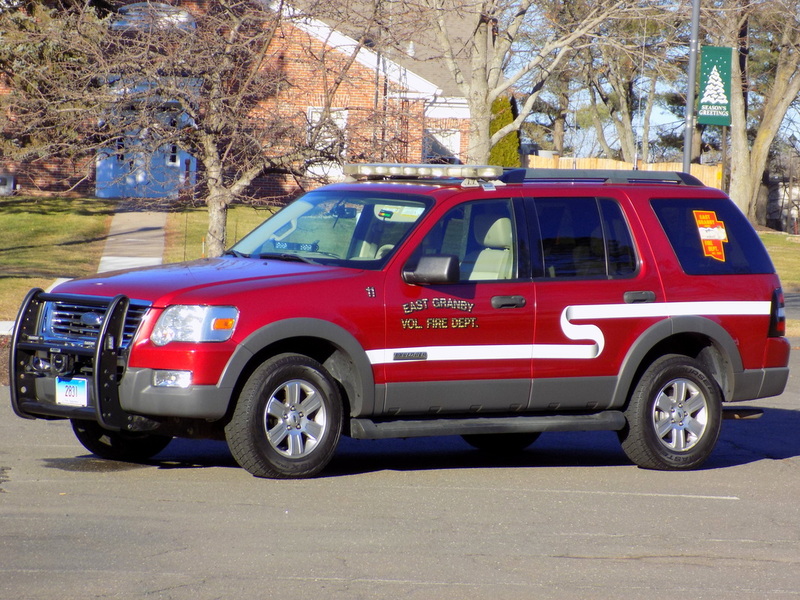 East Granby's Car 11, a Ford Explorer. 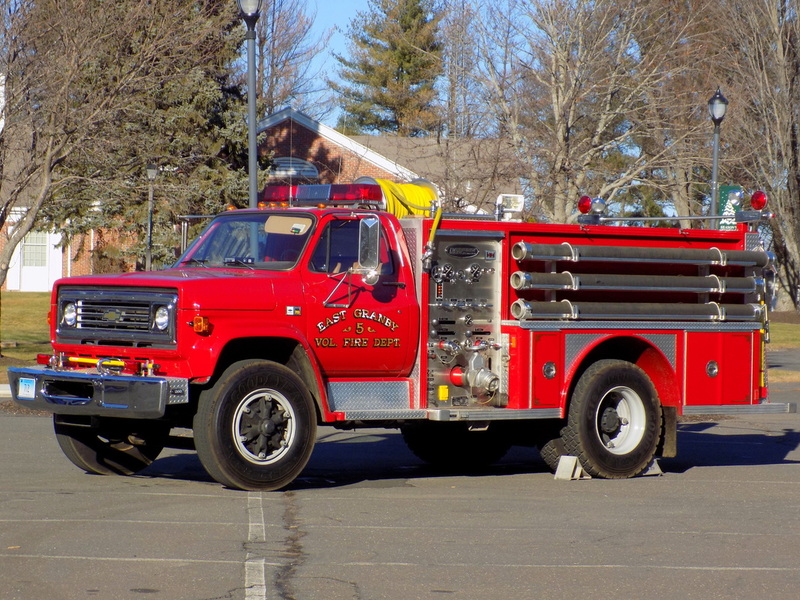 East Granby's Engine 2, a 1997 KME. 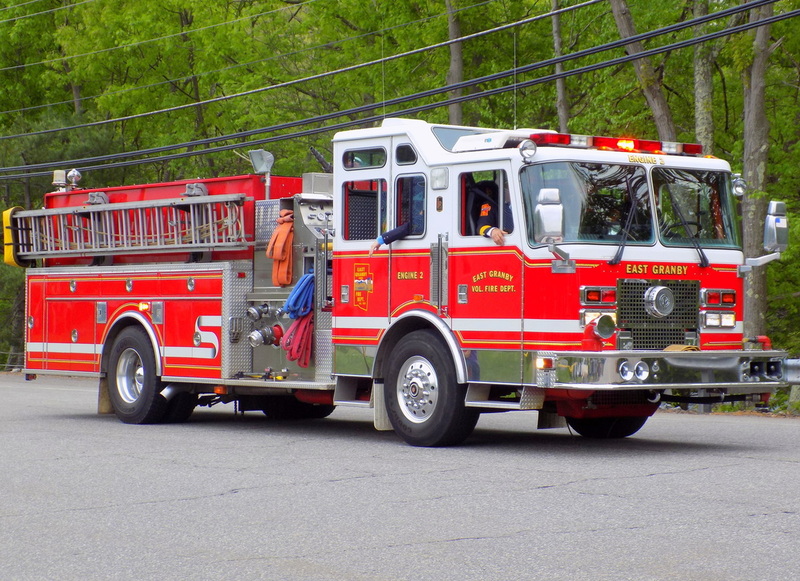 East Granby's Engine 3, a 2005 KME. 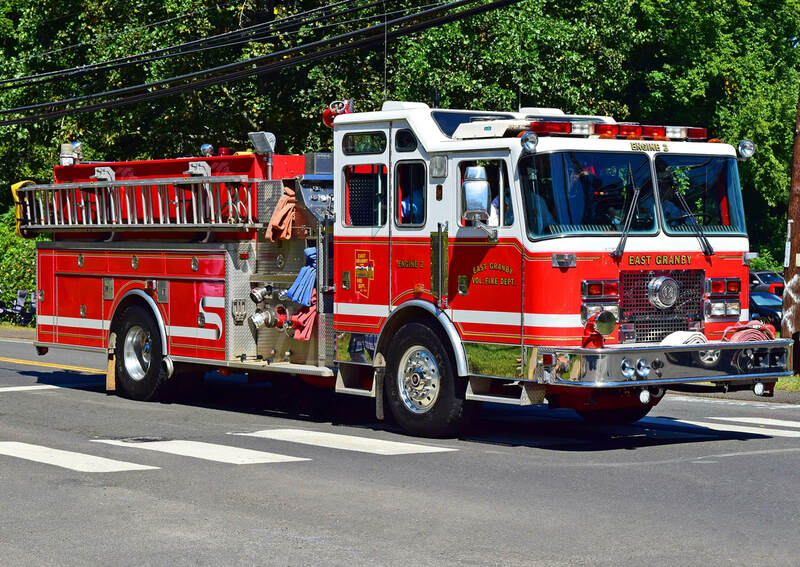 East Granby's Engine 5, a 1985 Chevy/E-One. 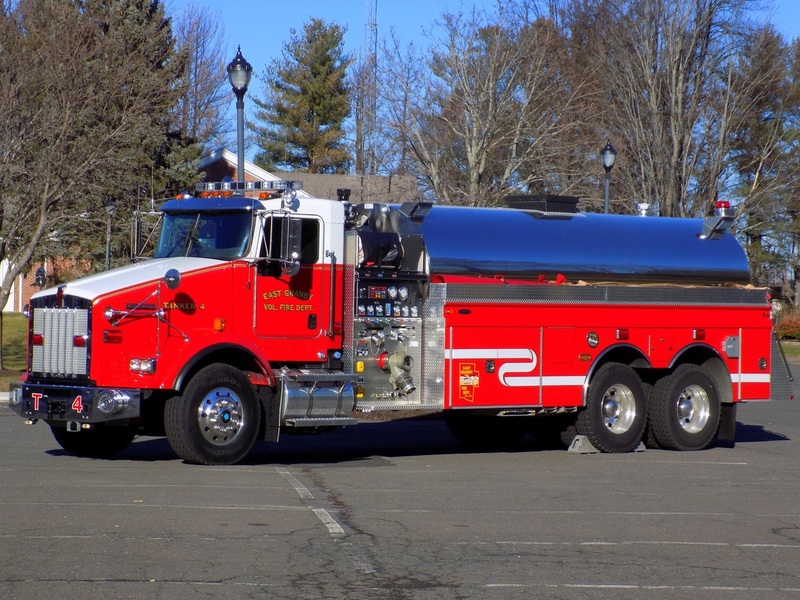 East Granby's Tanker 4, a 2013 Kenworth/4 Guys tanker. 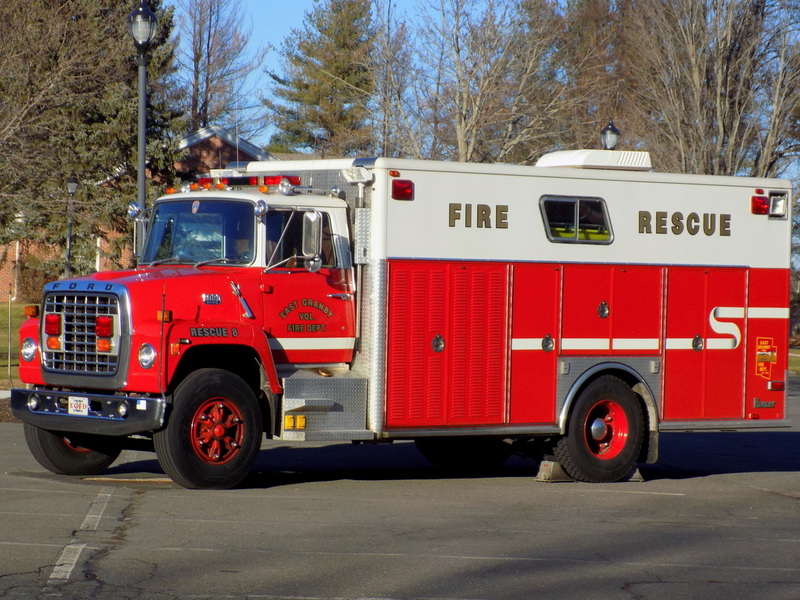 East Granby's Rescue 8, a 1983 Ford Ranger.